Compared to 12 months ago, payback time for a retrofit backlit billboard has reduced from 14 months to 12 months. By ensuring that our LED outdoor display products always incorporate the latest generation of LED technology, we can maximise performance and minimise the payback time of the investment. Our LED systems are now more energy efficient, brighter and faster to install. Compared to 12 months ago, payback time for a retrofit has reduced from 14 months to 12 months. 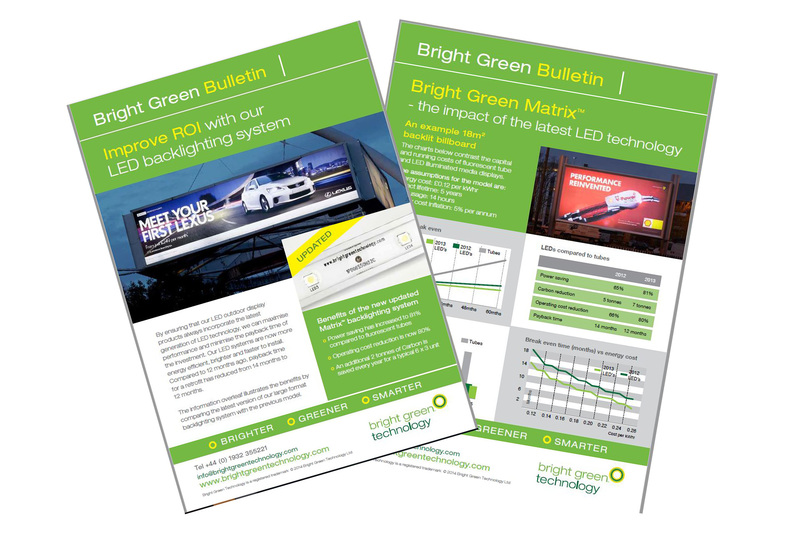 Read our latest Bright Green Bulletin which illustrates the benefits by comparing the latest version of our large format backlighting system with the previous model.